What does being 70 mean to you? God has helped me to survive the challenges in our society. I have a reason to be thankful. That is my reason for marking 70 and being thankful to God for his mercies. For me, it is not just about the age. It is also about practicing my profession for 45 unbroken years. That is also what defines me, not necessarily the longevity. 45 years of practising journalism is something I take seriously. I have been tempted to go into politics or into some other businesses that were lucrative. But I resisted all of them because I am passionate about journalism. I love it and I believe it has an important role to play in the life of a nation. I believe in the centrality of the media as a factor in the power equation and also in helping to deliver what I call the better society. To me, journalism is absolutely an important profession, particularly when it is practiced professionally and ethically. At the time you became a journalist, being in journalism was not fashionable among young people because the rewards were poor. The fashion was to become a lawyer, a doctor, an engineer, etc. Were you not concerned that you were going into a profession where being a veteran at that time meant abject poverty? In fact, when I wanted to go to the university, my father said I should study law. I thought it was because of his background of being a member of the Customary Court of Appeal. He thought it was better to have a lawyer in the house. Apart from that, law, medicine and engineering were the professions in vogue at that time. He urged me to study law; I said no, that I wanted to study journalism. He was not happy and I didn’t change my mind. I went into the university as an indigent student. I was a Higher School Certificate teacher. It used to be the vogue at that time because when someone finished school in December, you had to teach in secondary school for nine months. I taught and saved some money. We paid 21 pounds which was a lot of money at that time. Since I knew I wanted to go to the university, I saved money and when it was time to go I left. But I didn’t have enough money for my fees. I just paid the compulsory fees and didn’t have money to pay for accommodation and for meals. At weekends, some of my Yoruba friends would go home. They would tear their meal tickets for the weekend and give to me which I used to collect food. Sometimes I did the 101 system which meant having only lunch and dinner and I will get going. I was not even allowed to squat. In the evenings I would go and stay in the common room where students gathered to watch television. The television stations operated from 6pm to 12 midnight. And when the students leave by 12, I would bring my mat and pillow to sleep there. And when it is 5 am, I would the place before students come around. I managed my life that way until the second year when I got a scholarship from the South-Eastern State government and another one from the Federal Government. Because the value of the Federal Government scholarship was higher, I took it and discarded the other one. That was how I managed to finish my course. Did you envisage staying this long in journalism? Nobody could have decided if he was going to stay long in a profession and when he would stop at the time he was starting. When someone is starting a profession, he would not know where it will take him to. I was just enjoying what I was doing. I actually started thinking about journalism when I was in primary school. My father used to be the clerk of the Customary Court of Appeal. It used to exist in the Eastern State at that time. He would go to court and I would go to school. I always got home before him. There was a vendor that used to bring the Nigerian Outlook, which was a paper that was owned by the Eastern Region government. I would collect the paper and read it before my father returned from work. I used to read speeches by the late Dr Nnamdi Azikiwe. The Editor of the paper was called Udo Awa. There was a column written by MCK Ajuluchukwu, who was a famous journalist. I started admiring what they were writing even though I was in primary school. I continued to show interest. When I got to the secondary school, Ibibio College, I used to report sporting events. I would report football matches, athletics and paste it on the school board. The name I used then was Pressman Raymond. Students would read it on the notice board. When I left secondary school for higher school, Holy Family College, a Catholic school, I actually started the first student publication there called ‘Nightingale’. It grabbed the attention of students. We would just type our stories, cyclostyle, staple and sell. I can’t remember if we sold it for 2 kobo or 3 kobo. It was monthly. The Principal, G. H Udoh, a tall handsome man, took interest in what I was doing with a few friends of mine and assigned an Irish Rev. Fr, who was a lecturer in English to supervise what I was doing. It actually caught the attention of the school community. After the war, when it was time for me to go the university, I applied to three universities: Ahmadu Bello University, Zaria for English; University of Ibadan for English and University of Lagos for Mass Communication. At that time, there was no Joint Admissions and Matriculation Board, JAMB. I had to apply to each university. That has been my trajectory in journalism. I did my first vacation job with a radio station in Calabar under a woman called Mrs. Hat. She directed me on how to write new stories. The next vacation job, I did it with the Nigerian Chronicle which was a newspaper owned by Cross River State government. The pioneer Editor was Mr. Moses Ekpo, who is now the Deputy Governor of Akwa Ibom State. He was the one, who actually guided my hand and showed me how to do interviews practically because, in those days, many of the universities didn’t have the facilities for practical training in journalism. Things have improved considerably now. University of Lagos has a radio station now and has a license for a television station. A lot has changed and that has been the journey. From the Chronicle, I came to Sunday Times as Editor. From Sunday Times, I went to Business Times as Editor. From there I went to Concord and Newswatch. My father has been a major influence in my life. He was straight like an arrow. And I was very close to him. I remember one occasion when a businessman came to see him. He (father) was a member of the Board of Ikot Okoro General Hospital in our area. The businessman, who was looking for a contract, came to see him as one of the Board members. He brought a goat, Schnapps, which was a big deal in those days, and money. My father said to him that he was not interested in those things. He told him to go and talk to other members of the Board, adding that he would accept anything. My father said that if he was qualified, he would get the contract. He begged but my father said he would look at the man and other contractors before making his conclusion. Our local government was called Western Anaang Local Council. They used to award scholarships. There was a time somebody wrote a report against members of the Board, accusing them of collecting money and goat before they awarded scholarships to children. The authorities came to meet my father and told him that they wanted him to take over as the Chairman of the scholarship awarding committee because they trusted that he will do a good job without asking for bribe. He accepted and took over as the Chairman of the scholarship board of Western Anaang Local Council. These two incidents impacted a lot on my life. He was just a holder of Standard Four certificate. But he improved himself and taught me how to write agreements for land and palm plots. He used to call himself a poor man with integrity. That was his slogan even when people tried to tempt him. I have followed in his footsteps in my own personal life and in my journalism life to try and play straight and hope that it will be appreciated. I try to do things ethically and professionally. That philosophy drives my own journalism. He was major influence in how I run my own life as a person and as a journalist. There are other influences too. Mother was a very blunt woman and I took that attribute from her. She would always tell anyone the truth. She doesn’t dance around. Those are the attributes I collected from my parents and I try to transfer them to my children as well. It is true that any blunt-speaking person may have difficulties with people who hate to hear people speaking bluntly. But it makes people to know where that person stands on issues. There is no fooling around and there is no dancing around. People consider it a fault but I have no way to change it. It is in my genes and I believe that it has served my purpose as someone who wants to be understood. You are among those who brought finesse and intellectualism into journalism. How was it possible to do that and how do you feel that intellectual depth seems to be lacking in today’s journalism? I agree that intellectual depth is an issue in today’s journalism. But in journalism, it is the journalist that makes himself what he wants to be. It is not the degrees and other qualifications the person got from the university. In the university, what I used to do, as a student, was that whenever the lecturer recommended three books, I would go to the library and read five or six books to see how I could enrich my knowledge. A journalist must improve himself regularly. Self-improvement is absolutely important. I invest a lot of my money in books and I spend time reading, researching and looking for new knowledge in every available expert. The journalist is not an expert except he is already an expert in a particular field. Therefore, the person must read wide because his knowledge must be deep and wide because out there, whatever article the person is writing on any subject, there are experts who have worked for many years in that field. When a journalist writes, he must be able to bear in mind that he is under the radar to be x-rayed by people who know more about that subject than he possibly does. The journalist must not display his ignorance by not having in depth knowledge of the subject he is writing on. For any journalist to be successful, the person must read as if his life depends on it. The person must show breadth and have depth because his article is analysed by people he does not see. Sometimes, they react to articles for the person to have an idea of their perception. Most times they don’t. They just praise the journalist or dismiss that person. Therefore, anyone that wants to be a journalist of note must improve his knowledge every day and keep reading. There is no end to knowledge. The person must keep reading so that his article can have the meat that is necessary for the public to benefit from. The journalist is not just an informer but an educator. A journalist is somebody who is giving the public the benefit of an analysis that tells them that this is the trend, this is what may happen tomorrow, and this is what will happen today because they don’t have the people to examine and look at what is happening around the world. The journalist gets information from many sources and has that ability and access that a regular person who is not a journalist does not have. We are now in what Marshall McChluhan called a global village where information is easily available to most people. But a lot of people are busy doing whatever they do to earn a living. But the professional journalist has a duty to access more information, simplify it, filter it and package it for public consumption. It is different from someone who just sends something he cannot verify to the social media. A journalist has the responsibility to verify what information he receives and make sure that what he sends to the public for consumption is accurate. The younger generation does not have sense of history in Nigeria. They hear that you were among those who revolutionalised journalism with the coming of Newswatch but hardly know how it happened. And history maintains that the coming of Newswatch brought so many new things into Nigerian journalism. How was that possible? Journalism has come through a number of stages based on the development of the country’s governance, development of journalism itself, development of technology and the public’s attitude towards information generally. In the 70s when I started journalism, state governments owned newspapers. They were strong newspapers. Bendel State had the Observer, Cross River State had the Chronicle. There was the Renaissance in Enugu. There were others that were strong. Young journalists, who just graduated from school, were employed. The old journalists, who were trained in the newsroom, had been phased out and, in my newspaper more or less, The Chronicle, we were about 10 graduates coming from Nsukka and the University of Lagos. And that changed the mind-set. Before then, we had people who had school certificate, who worked in Morning Post, Daily Express, among others. But with improvement in education, these young graduates came and that changed the face of journalism. Even though they were mainly state government-owned newspapers, at the time I was leaving Chronicle in 1980, we were doing 100,000 copies daily. By the time I got to Sunday Times, I took our production from 500,000 to about 600, 000 copies daily. That indicated that the post-colonial era journalism had improved tremendously and the public were interested. I just said that a vendor used to deliver newspaper to my village. I don’t think that is happening today. So there is a shrinking of that phase. The next phase was the opening of the media to private entrepreneurs in television and radio. That happened during the Babangida regime. It allowed for multiplicity of sources. And the newspapers that came on the scene in the early 80s, Vanguard, Guardian, and Concord, were good. The papers were impacted upon by the products of our education. 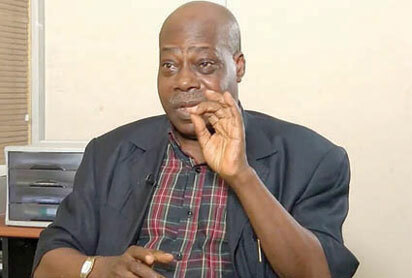 The late Babatunde Jose employed PhD holders in Daily Times. And that became the trend. Dr. Doyin Abiola became the Editor of Concord and there were PhD holders in Guardian. That improvement in education impacted on the media generally. We looked at the magazine scene. Only Time and Newsweek were the ones coming here. They were not publishing things about Nigeria. Once in a while, they will publish things about Africa but they were largely about coups, wars, famine and dictatorship. We thought that the two foreign magazines, which we admired, had a different perspective. It was the usual stereotyping of black people in Africa. It is not that there were no problems in Africa but they were highly exaggerated. They were not juxtaposed with concurrent and contemporary developments that were positive in various parts of Africa. That is what is called Afro-pessimism. It involves looking at Africa through the prism of negativity. To us, it was a challenge to publish a magazine that would be professional, home-grown, and reflect the real Nigerian and African stories. Those were the motivations. We had to look at the two foreign magazines, and we chose Time as our model because Time is a multi-flavoured magazine. It allows its writers to express themselves the way they want. It is not like some that get two or three people to rewrite a story in a particular style. We preferred a multi-flavoured magazine that would allow our writers to show off their style. If they could write articles that would sparkle and have style and move people, it would be important as well as writing articles that could be believed. Changing that narrative in Nigerian journalism came with a great risk. For instance, Mr. Dele Giwa lost his life and you carried on. What were the factors that kept you going despite the risks? I didn’t lose my focus. I am passionate about journalism. I was not running around looking for business. Even when I was Editor-in-Chief, the businesses I was pursuing were mainly advertorials and supplements. They were strictly in the same line of business. We had a company that was into buying and selling but it was supervised by another person. My focus was on journalism. When someone does not lose track of what he is supposed to do, he will be able to identify trends that can help his organisation. Even now that I am in semi-retirement, we do basically books. But we also write column for newspapers which keeps us busy on the journey of column writing. It is an important contribution to journalism because column writing is at the top of the game. Even though it has been bastardized in Nigeria to the extent that everybody writes a column regardless of whether they write well or not, columnists are much respected in the US and UK because of the enormity of influence that they bring to the public space and this is based on factuality and the robust thinking that is involved in delivering a column to the public space. That motivated some of the newspapers to approach us to write columns for them and it has been a delight. It has been a pleasure because we are contributing to the Nigerian narrative. And we are bringing that knowledge that people talk about, that acuity, that frankness and that lack of partiality in dealing with public issues that would affect Nigeria. Commenting on issues that are relevant to the delivery of a better society is a virtue of a good columnist. Having attained the peak of the journalism profession and having become an authority in the profession, what legacies do you think can be attributed to you? Just being a journalist is an achievement. It is a job that must be approached with the fear of God. In a newspaper, there would be several people who write letters and want them published. Some attach their photographs and want them published. That is the privilege that a journalist takes for granted because as his names appear on the stories he writes, everyone reading the stories around the world remembers the name. Being a journalist is the noblest cause. Just being a journalist and being conscientious in doing the job is a noblest achievement. The journalist is the first to know what happens in the world, he has access to deliver opinion to people, he invades peoples’ privacy with his articles, intrudes on their consciousness, affects their thinking and set them talking. That is a privilege that many people do not have. We journalist have it and I consider it God’s favour to those of us who decided to work in journalism’s vineyard. All other things are pluses. For me, being a journalist is the ultimate achievement. I don’t think that many journalists in Nigeria appreciate the enormity of the ultimate responsibility they carry on their shoulders. The decisions that journalists take during the process of production, in the final analysis, are not taken fleetingly. They are decisions that can bring down or lift the society. An Editor’s five minutes’ decision can either make or mar the society. That is why journalists must take their jobs very seriously.